LITTLE ROCK, ARKANSAS - Mitchell, Williams, Selig, Gates and Woodyard, P.L.L.C. announces that attorney Allan Gates was installed as president of the American College of Environmental Lawyers (ACOEL) at their annual meeting last week. 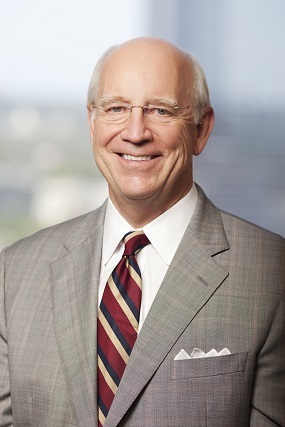 Gates is one of only four attorneys in Arkansas admitted to membership in the national environmental law organization. “I feel deeply honored to have the opportunity to serve as President of the American College of Environmental Lawyers. The members of the College are the very best environmental lawyers in the country.” said Gates. "The College is a dynamic organization, sponsoring regional and national meetings, domestic and international pro bono projects, a prize winning blog on environmental topics, and a variety of collaborative interactions with state and federal environmental regulators. I look forward to a very exciting year leading the College," he said. Gates is a partner at Mitchell, Williams, Selig, Gates & Woodyard and centers his practice on environmental, environmental and toxic tort, and commercial litigation. He has served as defense counsel in hazardous waste and Superfund actions before state agencies, EPA, and in state and federal court, as well as counsel in air pollution, water pollution, toxic tort, wetlands, environmental impact statement and coastal management disputes and litigation. The Arkansas College of Environmental Lawyers is a professional association of distinguished lawyers who practice in the field of environmental law. Membership is by invitation and members are recognized by their peers as preeminent in their field. ACOEL members are dedicated to maintaining and improving the ethical practice of environmental law, the administration of justice and the development of environmental law at both the state and federal level. Mitchell, Williams, Selig, Gates & Woodyard, P.L.L.C. is a 92-attorney corporate law firm that provides strategic and comprehensive legal services to help businesses and individuals achieve their goals. Established in 1954, the firm has offices in Little Rock, Rogers and Jonesboro, Arkansas and Austin, Texas. For more information, visit MitchellWilliamsLaw.com.